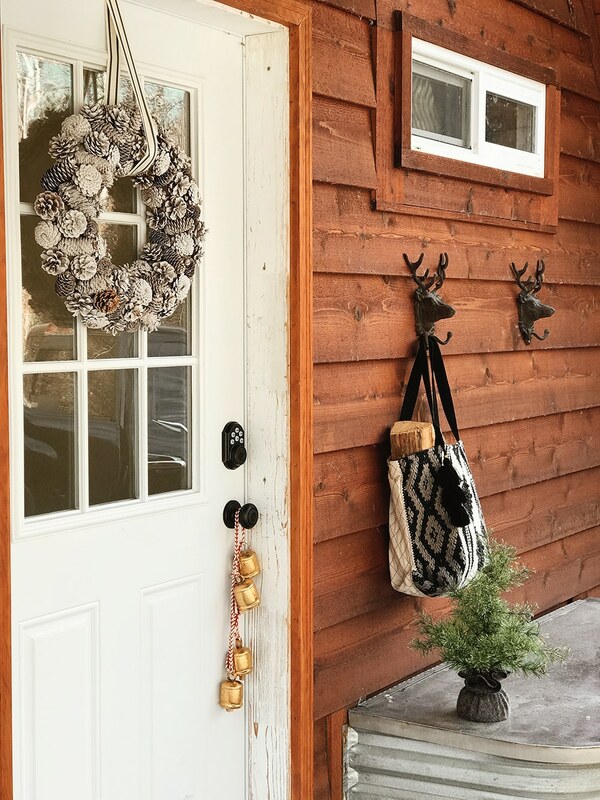 We have quite a few activities planned up at our A-frame cabin in the coming month for the holidays and while I’m still definitely aiming toward an essential minimalist decorating approach (catch more about that here) for this home, I thought a little bit of holiday decor would be a welcomed greeting for us and our family and friends. Of course we couldn’t just hang a wreath and be done with it though. The locks needed changed and if we’re going to change the locks, might as well swap out the door, right? 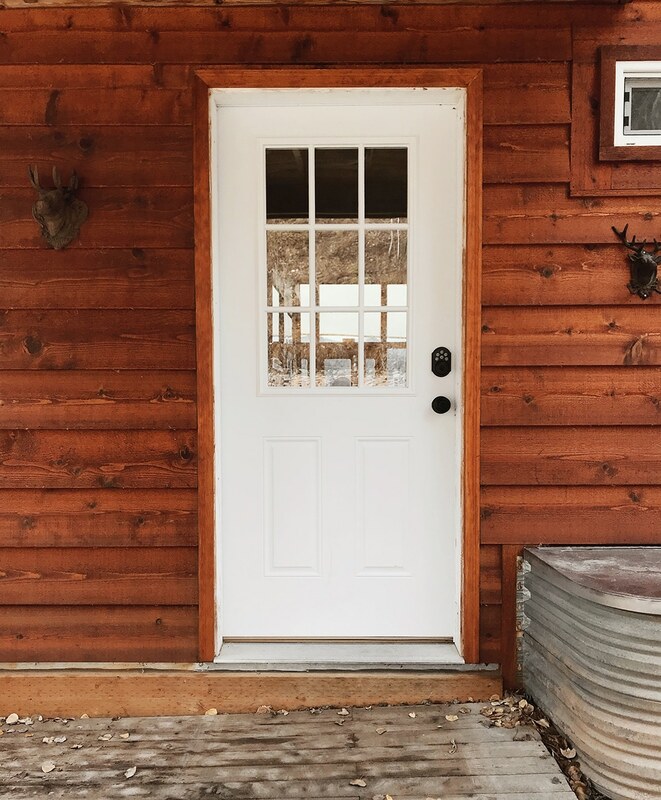 We’ve been down this road before and I knew that simply “swapping out the front door” could lead to a major project if the door wasn’t an exact match for the jamb. 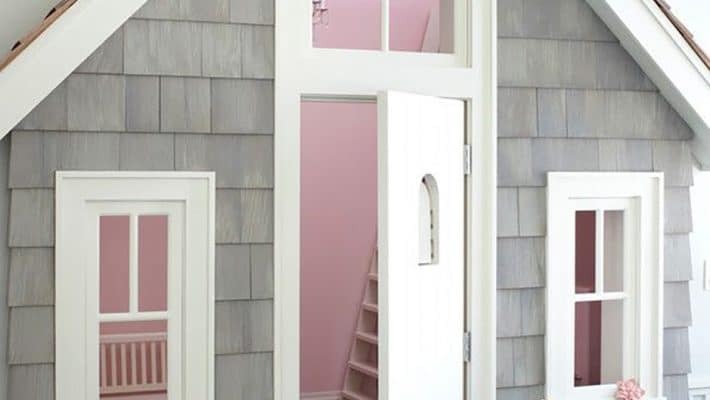 So I studied doors on Lowe’s.com and found the exact brand the former door was and looked in that brand, and at the same size, for a door that suited us better–hoping it could just be screwed into the existing jamb. 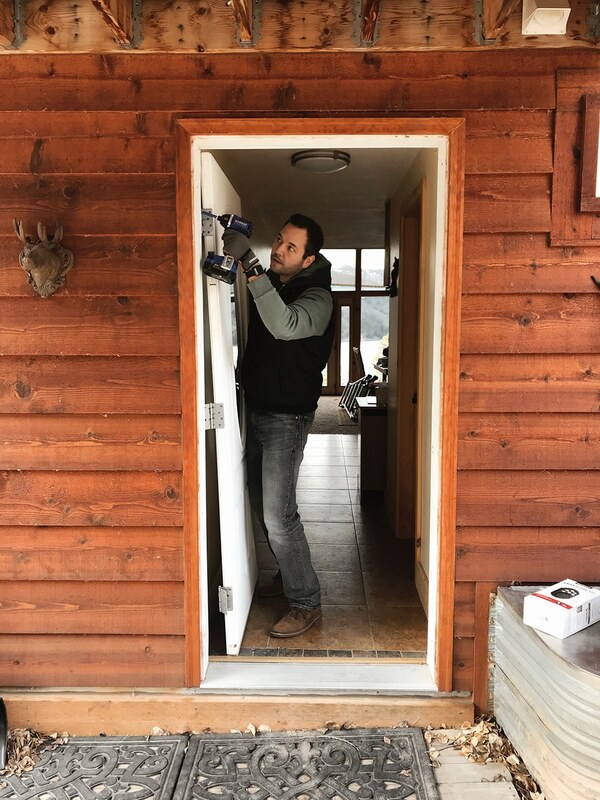 I found a simple 9-light insulated entry door for $200 that was perfect and it fit! We also added a keyless lock pad (that we can continually change the code) for easy entry for guests. We considered painting the front door, but decided to wait because we have plans to paint the exterior of the A-frame as soon as Spring hits. The exterior is currently a very red-rust wood and with the light orange roof–it’s a lot of one note. 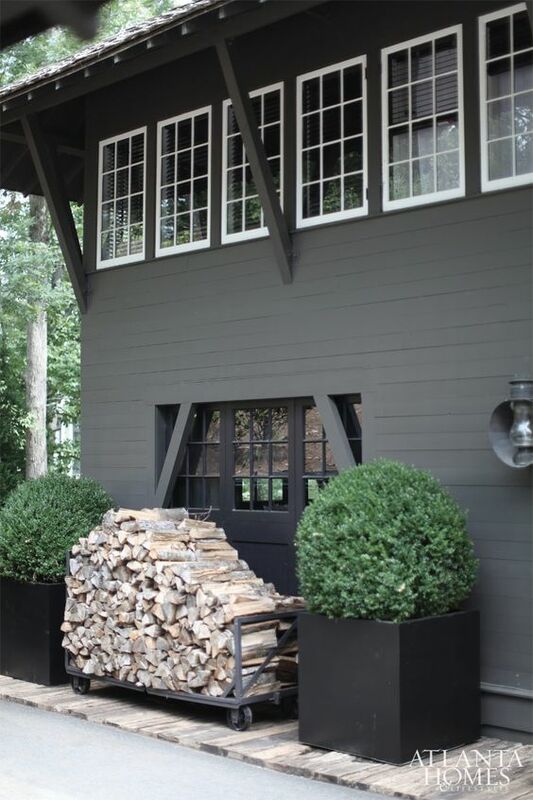 We’re dreaming of painting the whole thing a dark olive like the photo below from Atlanta Homes Mag. Swooon. But, as usual, we don’t keep our future plans from enjoying a space now. 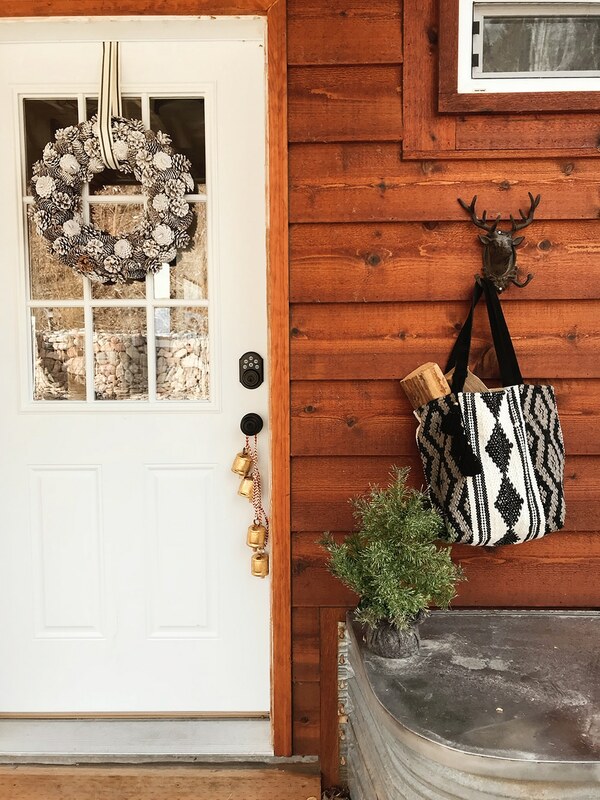 I ordered just a few perfect wintry pieces from World Market for the front door. A frosted pine cone wreath and some ribbon to hang it. Some bells on red and white cording to hang from the door knob. 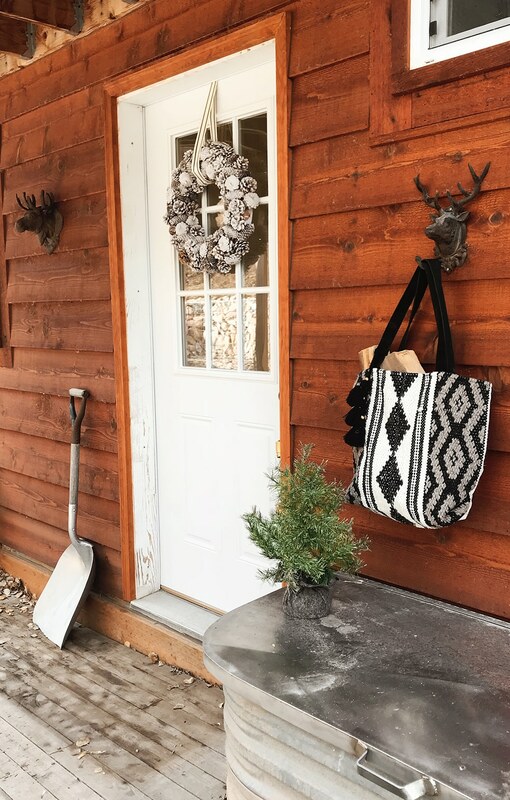 A small icy tree wrapped in felted burlap and a black and white carpet tote that I put some logs in–honestly, this bag!? It’s good! I could look at World Market’s site forever and I’m still always pleasantly surprised at what they have. I love the idea of using functional pieces as decor when possible, too. And the snow shovel was already by the front door area and I thought, “You know! I’m going to need you and you’re cute anyway. Prop yourself right up here.” And voila. 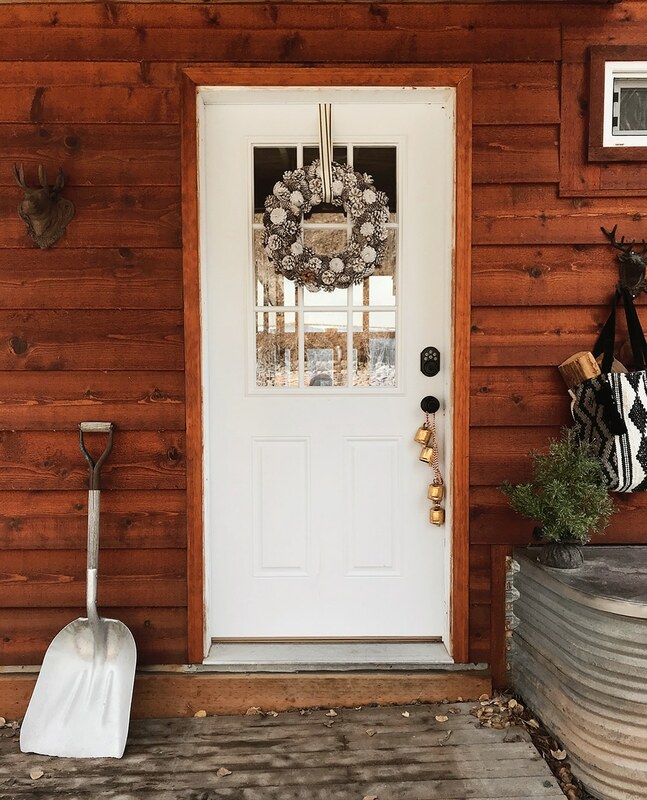 A wintry holiday front door at the cabin with minimal effort and minimal stuff. That ribbon also comes in red and I need to order about 4 more rolls, stat. I love it so much. New Project: A Small Indoor Playhouse! I’ve been dreaming about a new front door with windows so I can remove the storm door. This is perfect! That dark olive is gorgeous. Reminds me of Sherwin Williams, “Cast Iron,” which is what I’m wanting to use for our exterior. It’d look stunning on that A-frame. Did I miss the link for the deer hooks and the moose head? Those are darling! Love it! How did you hang the wreath with the ribbon? Thanks! Nooo don’t paint the wood! Look how cozy and inviting it is! I just love it. I’m sure whatever you guys do will be great, though. My heart also breaks thinking about you painting the wood. But I do not doubt your design greatness, so I shall wait and be convinced. Agreed. A wood cabin feels soo much more cosy. Cant you stain it a different color? I know you guys will make it look nice regardless, but in my mind a cabin should be stained not painted. 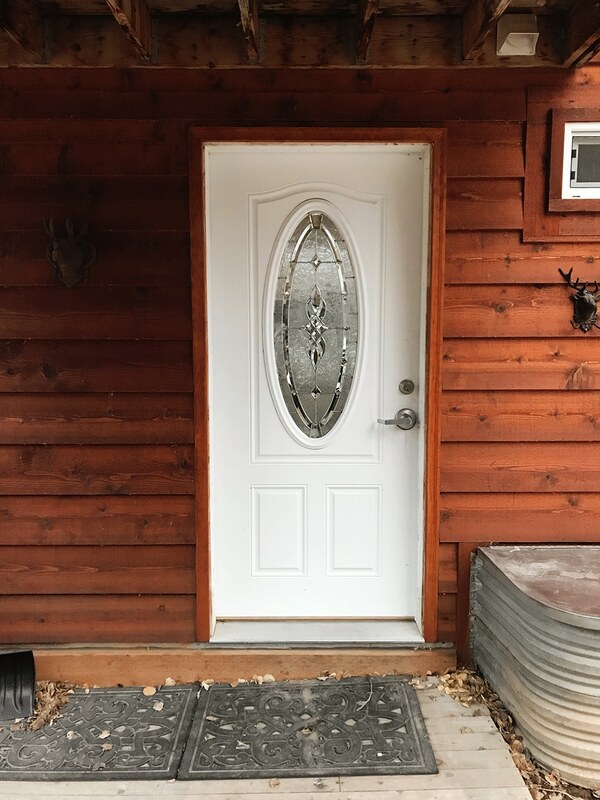 The white door does not match with the exterior… cannot wait to see what will you choose. Any idea what the exterior color is called? What keyless entry pad did you choose? Thank you! It’s Schlage brand. We bought it at Lowe’s. How did you hang the wreath without a nail? That’s right! I looped the ribbon through and actually attached it to the screw on the other side of the door (holding the glass pane in. We just popped off the cap and unscrewed it a little bit. I also use a ribbon, but I use thumbtacks to stick it into the top of my door – super tiny holes, and who would ever see them anyways? I have a fake wreath that’s pretty light, and 2 tacks has held it up for three years in a row now. Hot tip! 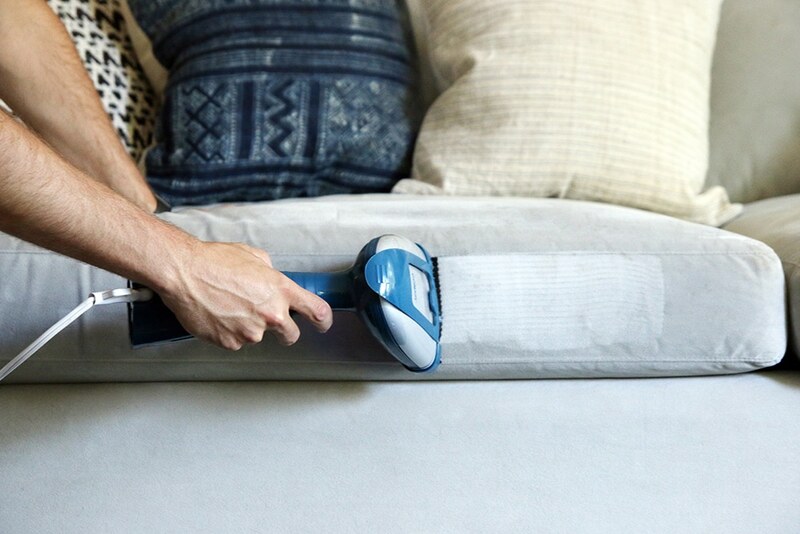 For the tripod-free gifs that move around, Photoshop’s Auto-align tools is magic. MAGIC, I tell you! You’re making my a-frame dreams come true. I have the same exterior inspo for my one-day-maybe-never cabin goals. Can’t wait to see what you do! I am looking at getting a keyless entry for my husband for Christmas. Is there a link to the one you bought? Also, can you control it with your iphone? Thanks for your help. This one we picked up from Lowe’s. It’s Schlage brand. I don’t think we can control it fun our phones, so when we do start renting this place out, we may to need swap it out for one that we can do that with.